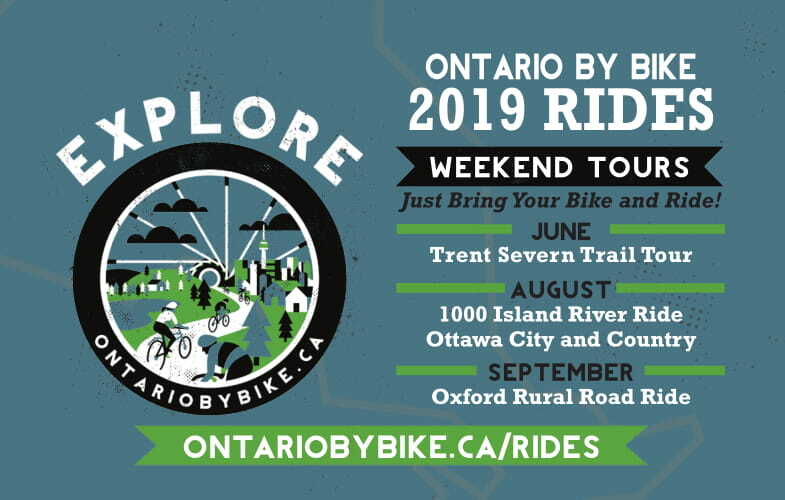 The Ride: Enjoy this weekend-long, quiet and safe off-road rail trail ride from Uxbridge through the Kawarthas ending at your choice destination of Peterborough or Lakefield. 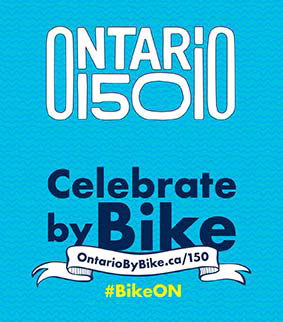 Whether you ride independently or with friends, join the 2017 Ontario By Bike Ride this September and make the most of this linear trail with the convenience of a coach shuttle back to start on this fully supported small group tour. 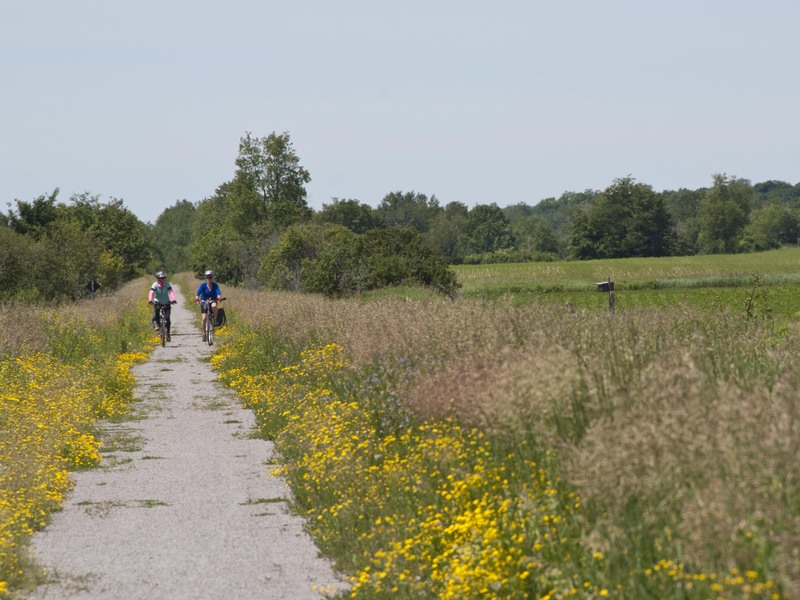 The well-maintained, hard-packed trail, with some paved sections, traverses idyllic farmlands, along waterways and canals, and through lush green forests. This small group tour includes hotel accommodations, some meals, support van and as this ride follows a linear trail, return transportation for you and your bike. We make it easy - Just bring your bike and ride. Experience Level and Ride Guide: Easy to moderate. 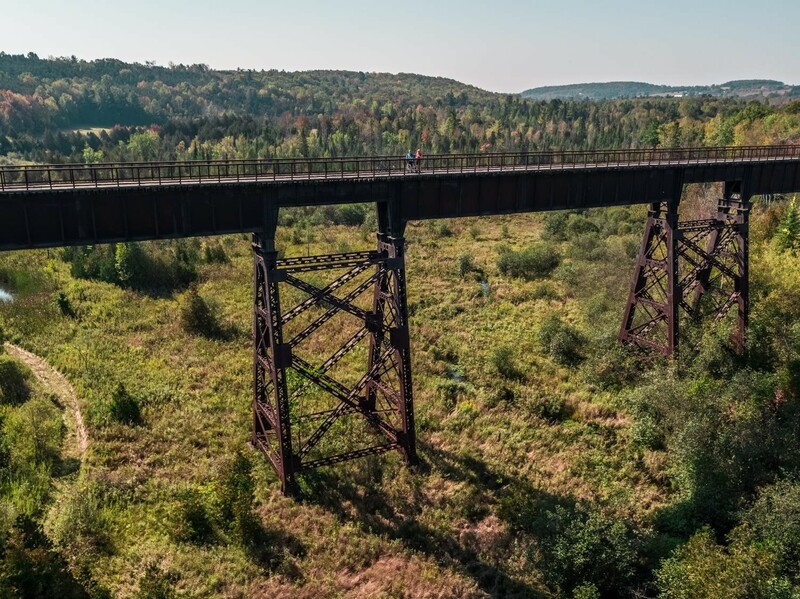 Off-road rail trail, hard packed limestone screening, small paved sections, level road crossings, with on-road riding limited to city bike lanes and quiet town roads. Suitable for hybrid bikes, mountain bikes, and older road bikes. Enjoy a group ride option or ride at your own pace using detailed maps and information provided. Starting in Uxbridge, just one hour from downtown Toronto, load up on supplies before meeting with the group at a parking lot conveniently located near trail head. 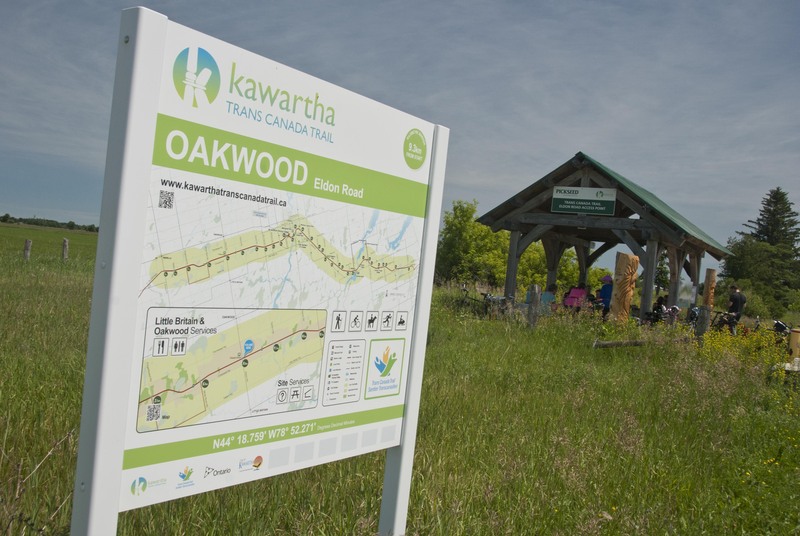 Enjoy a leisurely ride following the Trans Canada Trail as it cuts through a variety of scenery on a fairly flat and straight line into cottage country and the City of Kawartha Lakes, Lindsay. 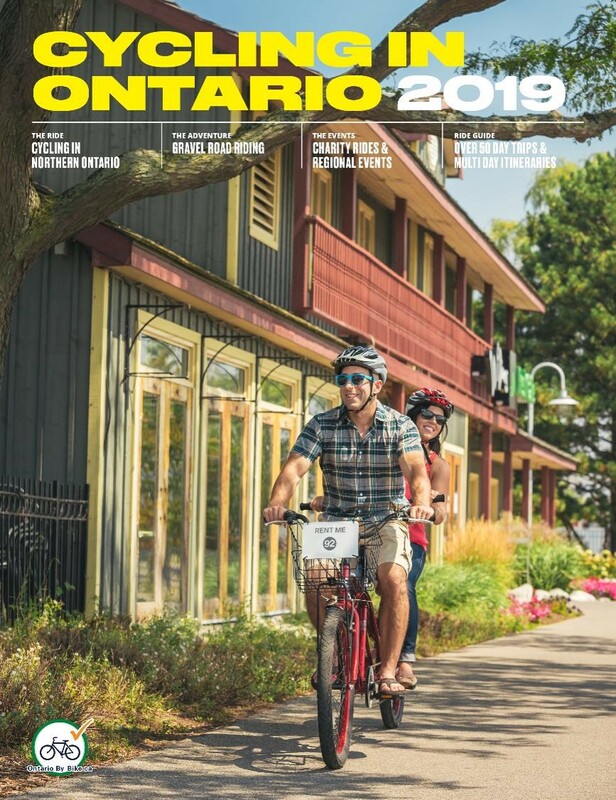 Visit Lock 33 along the historic Trent-Severn Waterway, rest your legs at local restaurant or cool down with a post-ride ice cream at Kawartha Dairy's Barn. Later that evening, catch up with other riders at an group get-together. 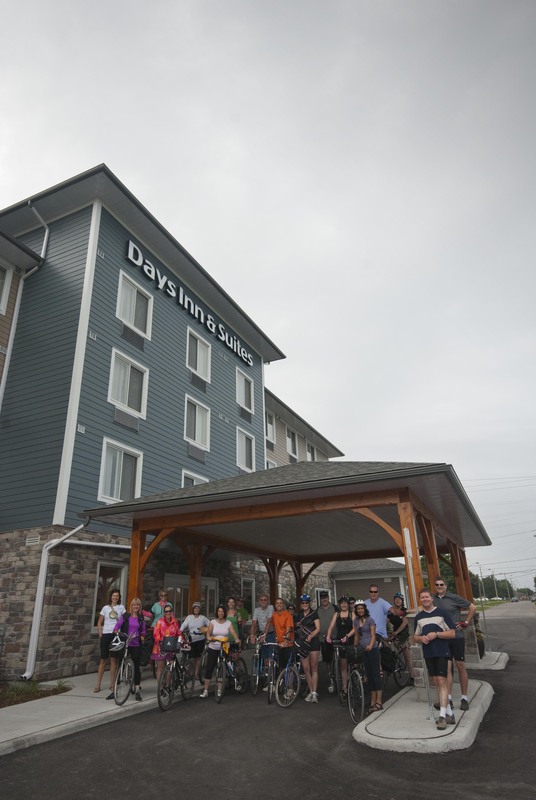 Overnight and enjoy a warm welcome at the trailside accommodation, Days Inn & Suites Lindsay. 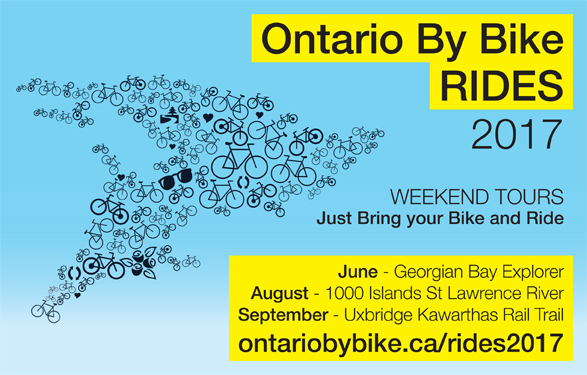 Included: Parking, van support, luggage transfer, group ride, snack and water stop, lunch, ice cream treat, group social, overnight accommodation at bicycle friendly Days Inn & Suites Lindsay with bike storage and heated saltwater pool. Rejoin the trail, and cross the Scugog River leaving town and continuing eastward on the off-road trail through quiet rural landscapes. Stop for a refreshment break in Omeemee, before crossing the scenic sky high trestle bridge just a few kilometers east of this riverside hamlet. 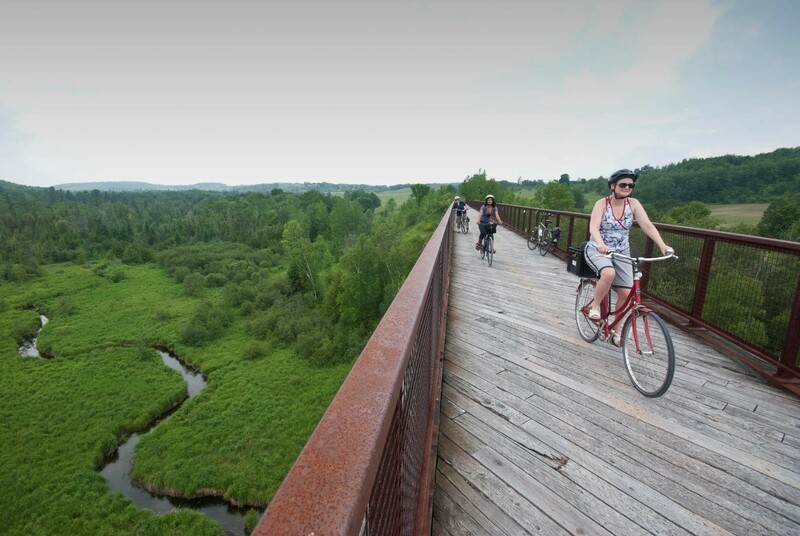 Cruise into Peterborough on the trail, crossing over to city bike lanes for less than a kilometre before reaching riverside parkland for lunch stop at the local cafe. 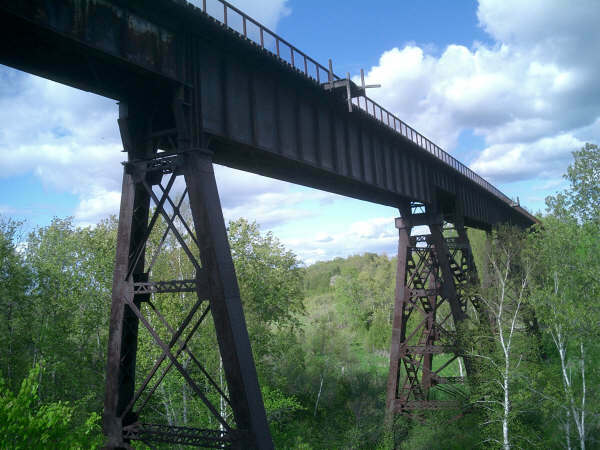 After lunch choose between rejoining the trail following the Trent Severn Waterway 15km into town of Lakefield or stopping in Peterborough to explore more at the Canadian Canoe Museum, Liftlock Visitor Centre, shopping downtown, or to enjoy a post ride patio. Load bikes into van and hop on the bus from designated meeting spots for an easy return to the start and Uxbridge, the end to a perfect weekend. Included: Breakfast, van support, luggage transfer, snack and water stop, lunch, shuttle return for bike, luggage and riders back to car park in Uxbridge. Transportation Options also include GO Transit with trains that run to Pickering or Ajax, 40km south of Uxbridge start. Consult local cycling maps for routing.